Images from Barbi does Miami. 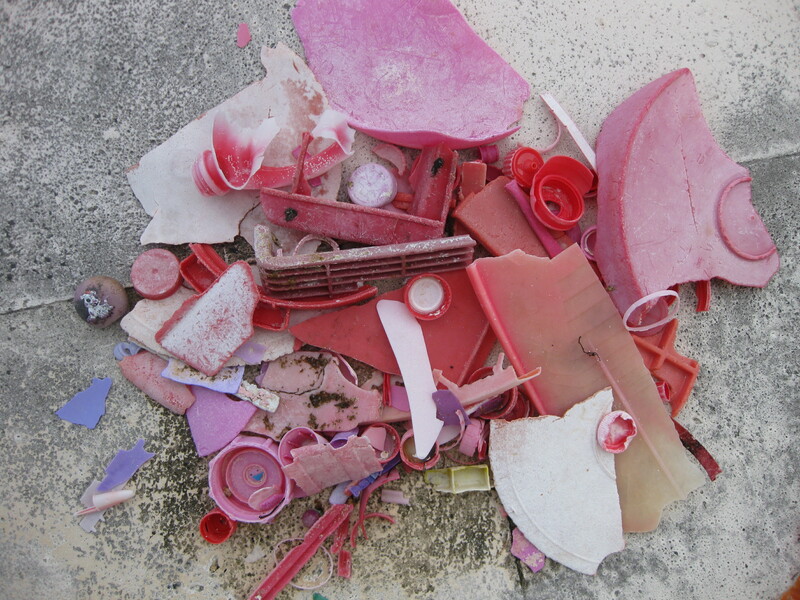 They look so pretty gathered by their colors, but they're actually plastic garbage pieces picked up on a beach by Barbara de Vries. 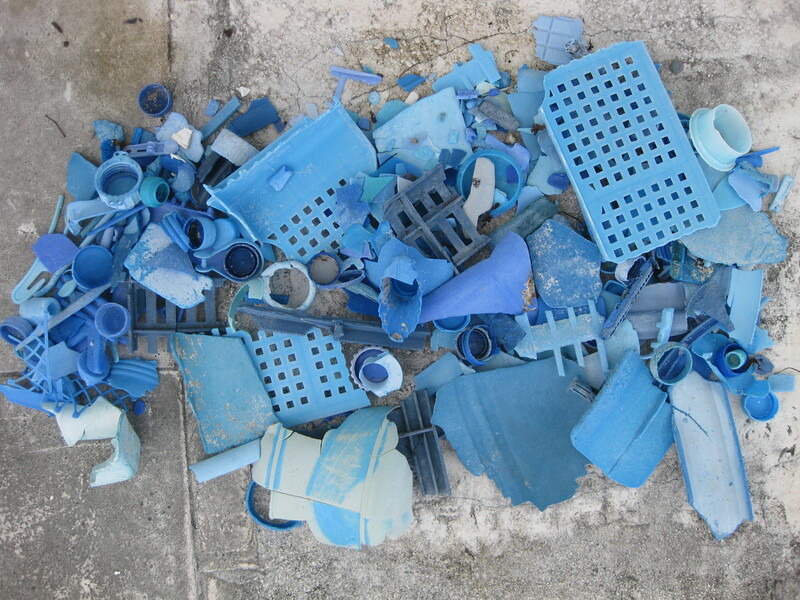 Barbara, who had always picked up the pieces along her local beach trying to clean up the debris that covered what was once pristine, decided to make use of this unfortunately ever-bountiful resource. After cleaning and sorting them, she breaks them into small pieces and drills them with tiny holes to use as beads. Nylon fabric, discarded ropes and the like all provide her with enough threading materials to sew the beads onto recycled materials, decorating scarves, tees, dresses, and even vintage jeans. 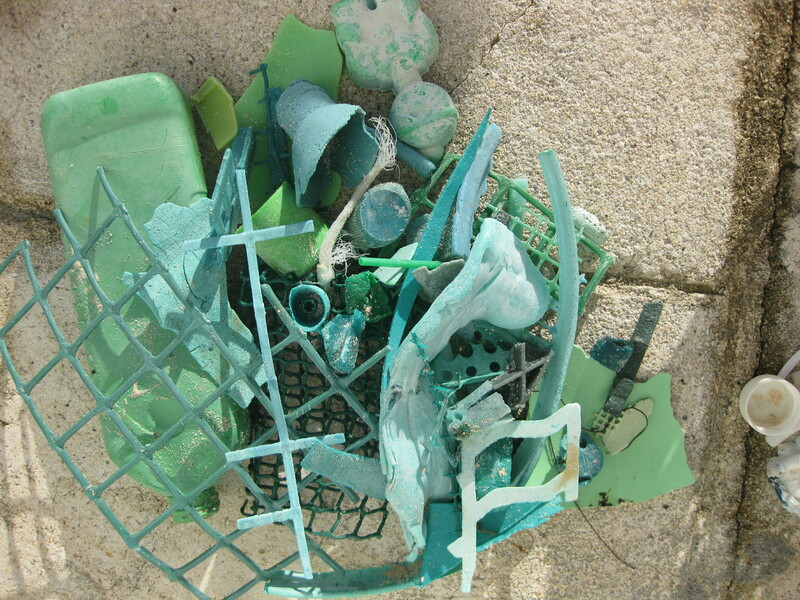 Shaped like broken coral pieces that often adorn garments bought from a trip to the Carribean, the beads speak an especially loud message when they reveal themselves to be plastic waste collected from a beach. They're available for sale soon on her website. Read more about Barbara's inspiring and exciting venture, and get a sneak peek of her upcoming projects!